Steidl E, Ribeiro CS, Gonçalves BF, Fernandes N, Antunes V, Mancopes R.
Int Arch Otorhinolaryngol. 2015 Jan;19(1):74-9. doi: 10.1055/s-0034-1376430. Epub 2014 Nov 6. Review. Introduction The literature presents studies correlating chronic obstructive pulmonary disease to dysphagia and suggesting that the aspiration laryngeal phenomenon related to changes in the pharyngeal phase contributes significantly to the exacerbation of symptoms of lung disease. Objectives This study aimed to conduct a literature review to identify the relation between dysphagia and exacerbations of chronic obstructive pulmonary disease. Data Synthesis We found 21 studies and included 19 in this review. The few studies that related to the subject agreed that the presence of dysphagia, due to lack of coordination between swallowing and breathing, may be one of the triggering factors of chronic obstructive pulmonary disease exacerbation. Conclusions The review noted that there is a relationship between dysphagia and exacerbations of chronic obstructive pulmonary disease, identified by studies demonstrating that the difficulties associated with swallowing may lead to exacerbation of the disease. There was difficulty in comparing studies by their methodological differences. 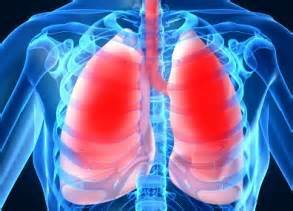 More research is needed to clarify the relationship between dysphagia and exacerbations of chronic obstructive pulmonary disease, making it possible to develop multiprofessional treatment strategies for these patients, catered to specific needs due to the systemic manifestations of the disease. Este post foi publicado em Dysphagia em 10/06/2015 por Tatiana Simões Chaves.